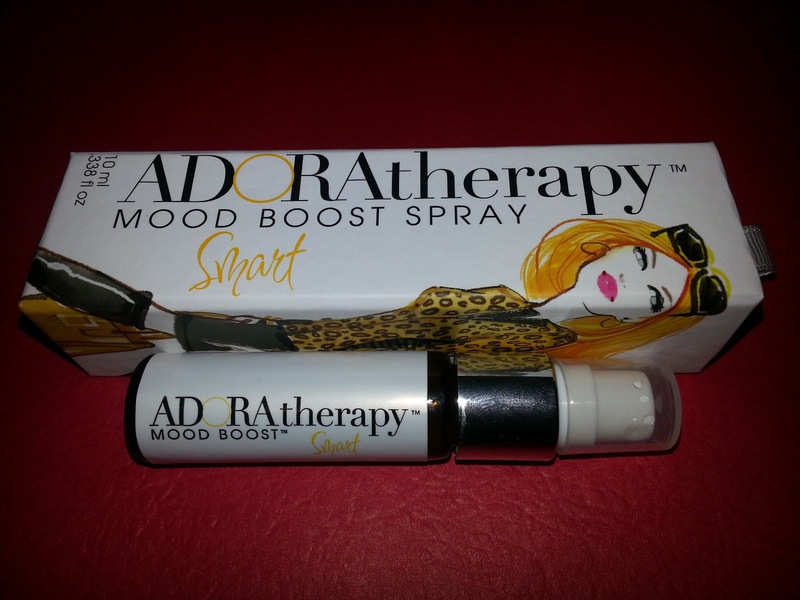 ADORAtherapy Mood Boost Spray "Smart"
I received the Smart Mood Boost spray which contains lemon and grapefruit in a base of distilled water. This was a perfect fit for me as I'm a huge fan of aromatherapy and lemon is one of my favorite scents. I use lemon nearly daily to flavor my water and for use in cooking and I always breathe in the scent and feel instantly better. That's pretty much the point of aromatherapy, to make you feel better and give you a "quick fix" when it comes to dealing with stress in your life in a natural and holistic way. Top Notes: Lemon & Grapefruit. Enhances Concentration, Energizing, Refreshing & Cleansing. Whether you’re overworked, are finding it hard to communicate with your loved one, or need to find balance within yourself — smelling all-natural, non synthetic scents may be the answer! NEW Gal on Go Mood Boost™ — 7 sprays let you be ready to take life on without slowing you down! Make sure you’re in a great mood when you take on the day! 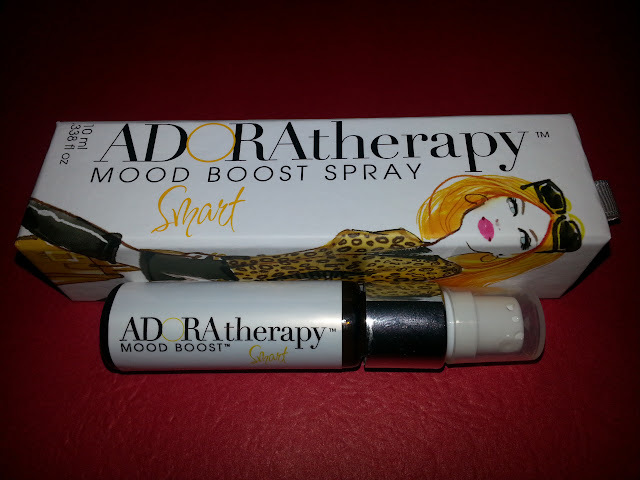 ADORAtherapy Mood Boost™ is a line of aromatic sprays that invigorate and bring balance to your senses. The well-balanced power of mindfully selected essential oils has been proven to relax and realign your emotions. 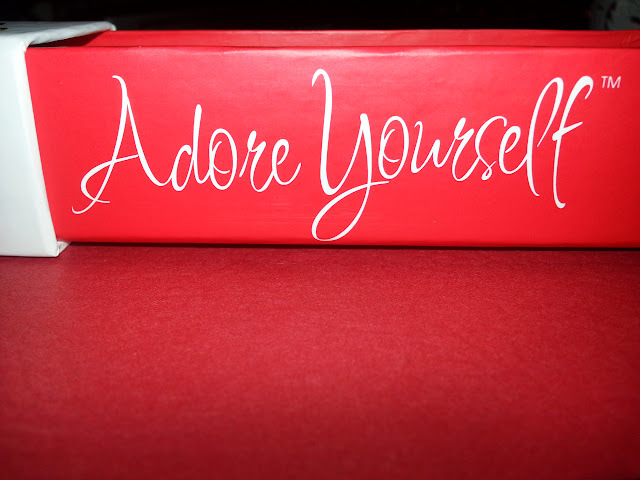 I really am loving this product. I do get an immediate mood boost from it and I love the therapeutic scent. It isn't irritating or too heavy. It isn't a perfume so it's not going to linger all day. I can still smell it after it is applied, but the most immediate relief I get from the product is right after spraying it. I love the mixture of grapefruit and lemon in this product. There are all different kinds of aromatherapy products available from this company in different forms such as a roll on and spray. There are different aromatherapy scents for different problems such seven blends which match up to your seven chakras and help create balance. There are seven Gal on the Go Mood Boost Sprays for Seductive, Beautiful, Smart, Balanced, Inspired, Awake and Peaceful. I'm sure you can find the perfect fit for your needs or find that perfect holiday gift for a special loved one. So, here is where you come in! You can help ADORAtherapy™ expand its line and bring its all-natural, mood-changing aromatic sprays to the masses. Be the first to say you found a great new company with a great mission. Be the first to try out the NEW Mood Boosts™. Be the first to tell your friends about ADORAtherapy™ and make a difference in their lives. Check out the Indiegogo campaign to make a pledge and win prizes! Go to their Indiegogo site to see the other PRIZES you can WIN —> HERE!